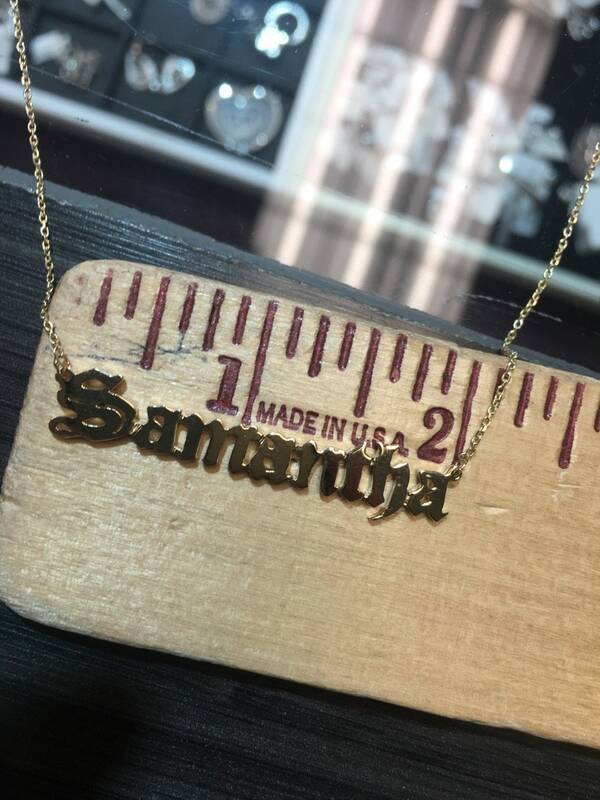 This style nameplate was first made for pop star Symon, and quickly became a best seller. 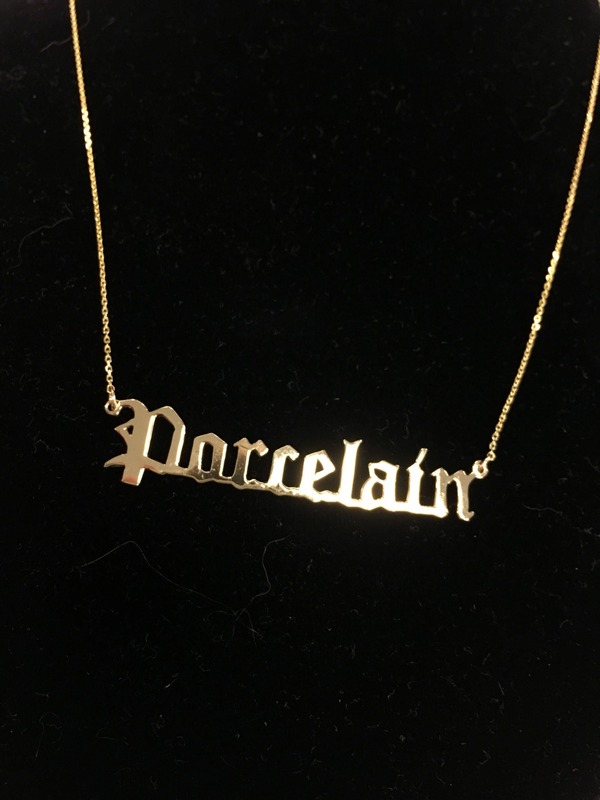 The Old English font gives the name necklace an edgier personality, it will definitely stand out from the rest. 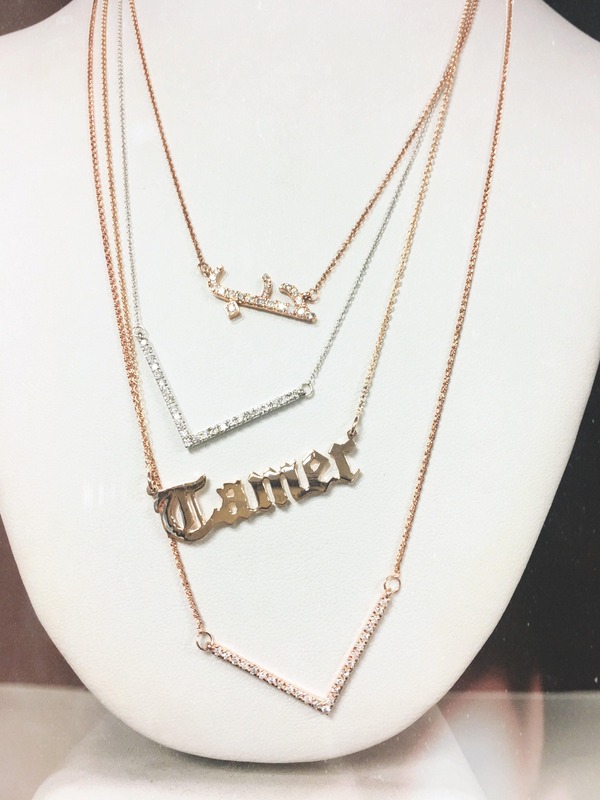 Names are rendered, fine tuned and cut to perfection in genuine 14 karat solid yellow, rose or white gold. The final piece is brought to a high polish and soldered to a fine Italian 14 karat gold chain to the length of choice. 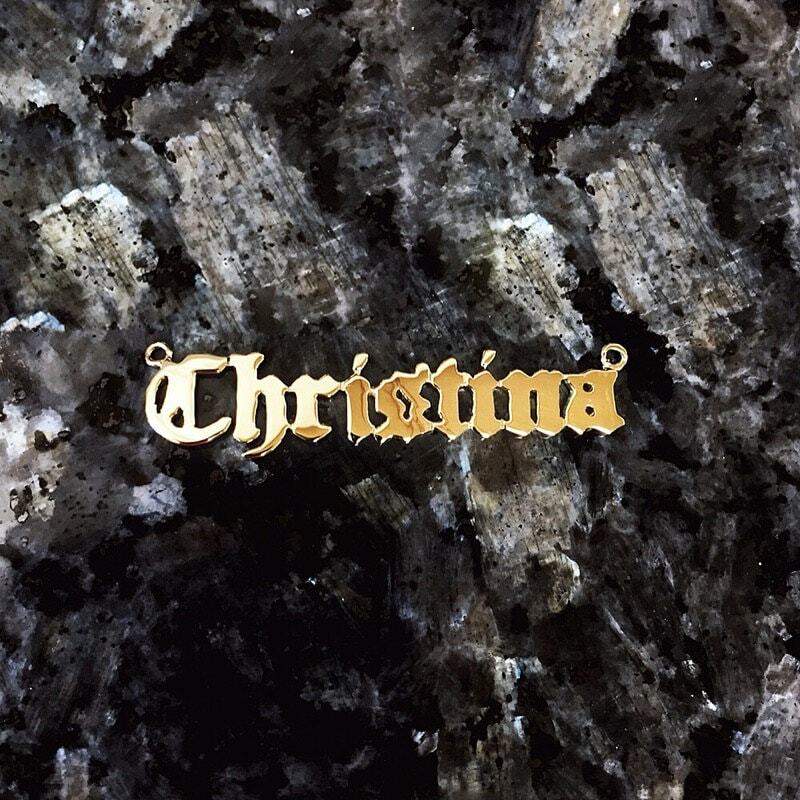 This is piece is crafted for the customer, a follow up email with a preview of the name will be sent within 48 hours of purchasing. Please be sure to note any preferences in size and leave the rest to our experts to create your beautiful necklace. 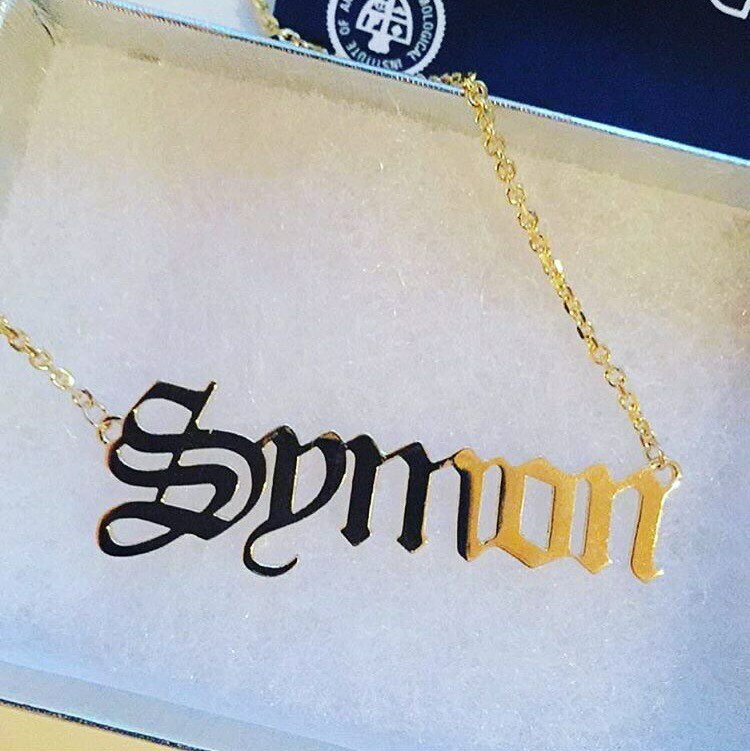 Show off your inner pop star with this unique custom necklace Symon style. Absolutely love!! Can’t wait to order more pieces from George! Mr George is truly the best jeweler, and his creations are the best. From the price to the finished product. Many Thanks! Would've liked a little bit bigger clasp, due to long nails, but love the necklace.